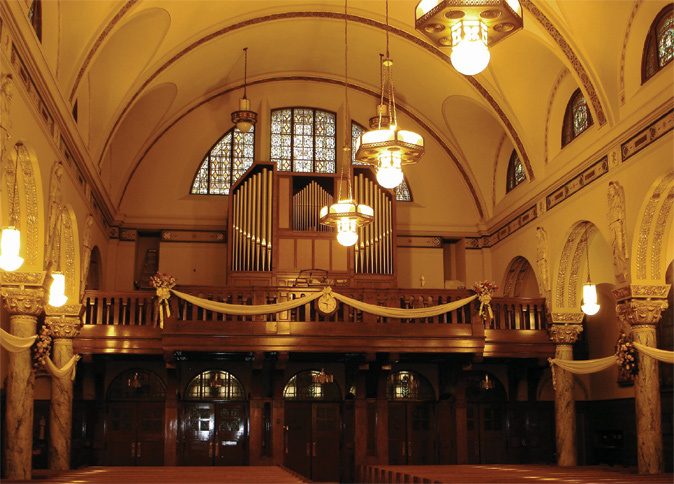 In June of 1927, the original organ at St. Joseph played its last note. It was replaced with a fine two manual Kilgen organ at a cost of $3,600. This same organ is in the church today. In 1983 the organ was updated and refurbished. The window in the choir gallery and over the front entrance is the largest in the church and was a gift of the Alter Society in 1911.